Broadway Across America’s Telly Award-winning collaboration with The Balancing Act, the award-winning morning show on the Lifetime Channel, continues season five of the five-part series Broadway Balances America with Andrew Lloyd Webber's School of Rock. This new episode will re-air on October 9 at 7:30AM (ET/PT). The touring production of School of Rock is traveling to cities all across the U.S. and Canada. During this segment, Broadway Balances America gets an all-access look at life as a pint-sized musical prodigy in School of Rock. Meet talented rockers Ava Briglia, Layla Capers and Montgomery Lamb, as they welcome host Amber Milt into the band and share what it’s like to balance being in a Broadway show with being a kid. Learn about the journey these young actors experience from their first audition with casting associate Claire Burke to first performance—and beyond—with head guardian Jill Valentine, who oversees the children backstage. Watch this behind-the-scenes exclusive of the energetic young actors who act, sing, dance and play their own instruments eight times a week in this high-octane hit that’s coming to rock across the country! 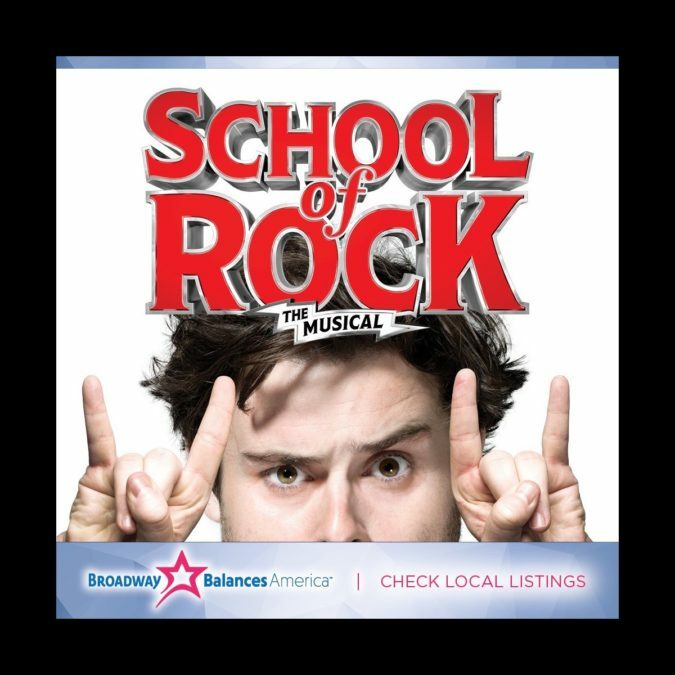 With a book by Julian Fellowes, music by Andrew Lloyd Webber and lyrics by Glenn Slater, School of Rock tells the story of wannabe rock star Dewey Finn, who poses as a substitute teacher at a prestigious prep school. When he discovers his students’ musical talents, he enlists his fifth-graders to form a rock group and conquer the Battle of the Bands. Directed by Laurence Connor, School of Rock was nominated for four 2016 Tony Awards, including Best Musical, Best Book of a Musical and Best Original Score. The show's score includes such popular songs as "When I Climb to the Top of Mount Rock," "You're in the Band," "Stick It to the Man" and "School of Rock."